B. Processed Material: SKD- 11 is a high carbon high chromium alloy tool steel after heat treatment has very high hardness and abrasion resistance, with hardenability, good stability and size, suitable for making high precision long life coldfor mold and molding of thermosetting plastic mold.And it is purchased from famous brand HTTACHI in Japan. 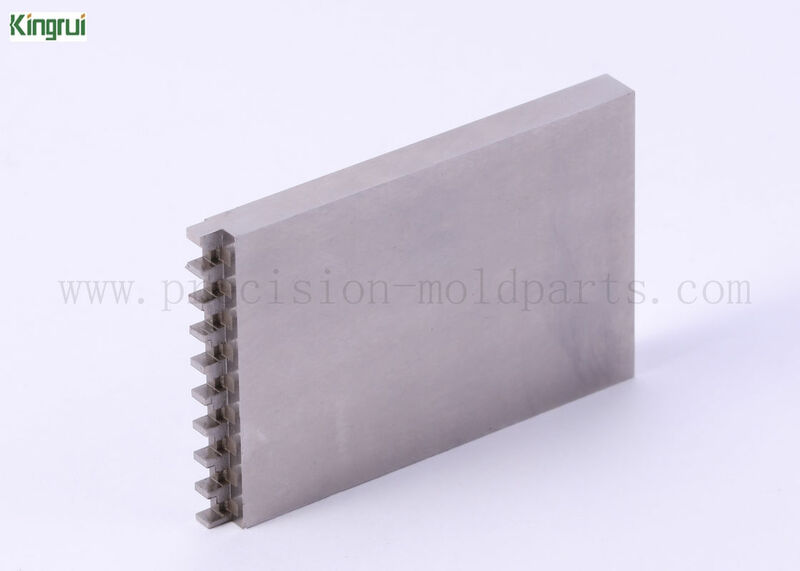 C.Primary Processed/ Technology: For this mold part, its major processing was finished by surface grinding machine, and partial regions were completed by Sodick EDM imported from Japan. It's worth knowing that grinding and EDM processings are our Kingrui Strengths. Our grinding machining can make parts surface finish is very high, the machining accuracy can be accurate to 0.001 mm. EDM processing not only can achieve small tolerance, but also can do very small spark pattern.